If you’re looking for a professional job from start to finish then we should be your first point of call. We have all the trades and can bring them in at the correct time so you don’t have to deal with different people for each part of the job. We do tiling, electrics, plumbing, and carpentry, we offer the complete service. When fitting a bathroom for our clients we fully project manage the job from start to finish. 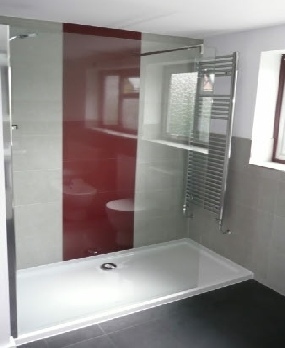 Once we have agreed our start date we will ensure that installing your bathroom is hassle free. Whatever bathroom you are deciding on we can fit it for you. We can provide a FREE Design and Draw service with our suppliers, with no obligation to buy. And we WILL give you the drawings if you chose not to use one of our suppliers, or our team to carry out the work. 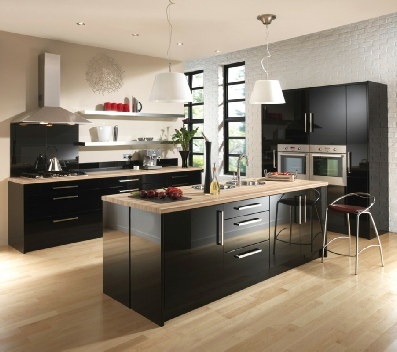 Our team can install gas ovens, put new electric points in and can completely design your kitchen from scratch. We can tile your floor or lay wooden flooring, we can install under floor heating. For those looking for something a bit different, we can also supply and fit Corian work tops & glass splash backs. 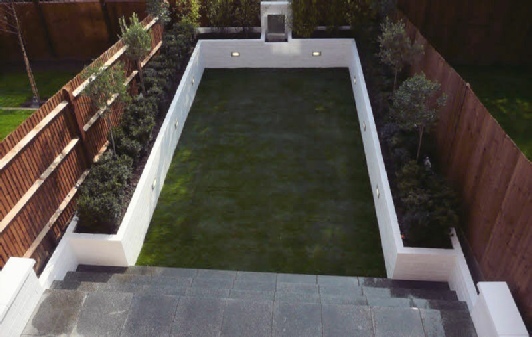 This garden was a start to finish project in Virginia Water, in association with Surrey Garden Services Ltd & Garden Set Associates Ltd. Who undertook the soft landscaping. The garden was on a slope, with a drop of over a metre. The client wanted two good sized, usable level areas. The roof deck was a very rewarding project. 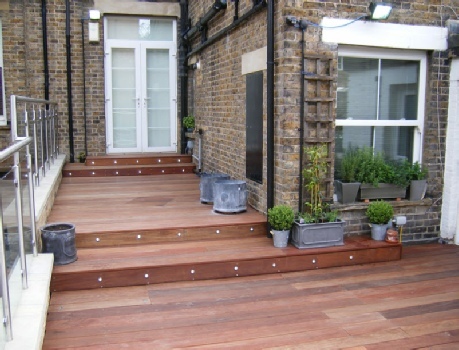 All the decking was Ipe, a very durable hardwood. All this was suspended, by way of structural timber work, above an existing flat roof unsuitable for foot traffic. The flat roof was renewed and protected with an EDPM Rubber Bond roof membrane. The transformation was incredible. A once unsightly roof was reborn, as an oasis in this garden-less flat in St Johns Wood. 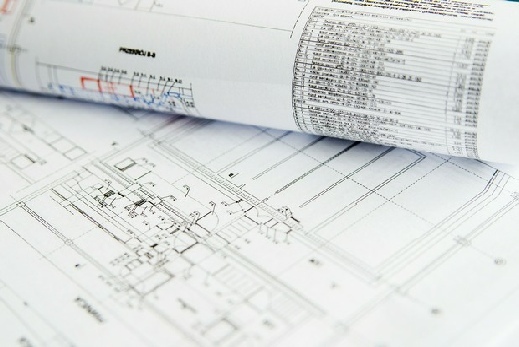 We offer a fully independent Architect and Structural Engineers service, who will advise, produce working drawings, liaise with planning departments and building control. All fees are agreed in advance, and are preceded by a no obligation visit, and a discussion of your requirements. **Please click on the coloured panels to see what services we have available.